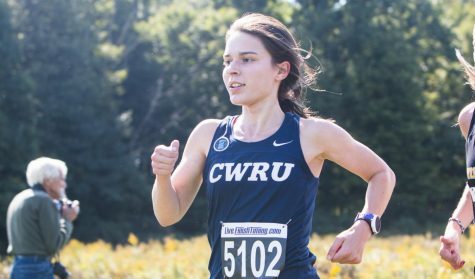 Case Western Reserve University’s 25th ranked Lady Spartans and the men’s Spartans both placed fourth at the annual All-Ohio Intercollegiate Championship 6K and 8K at Cedarville University last Friday. 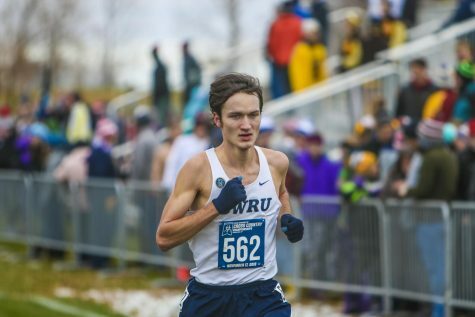 The men’s squad was led by junior and team captain Tony Spalding who finished ninth among all runners with a time of 26:07.36. Spalding had placed 28th (third among Case runners) in September’s Knight Invite at Calvin College. Spalding was followed by freshman Sam Merriman, who led the Spartans at the Knight Invite, and junior Timothy Travitz. 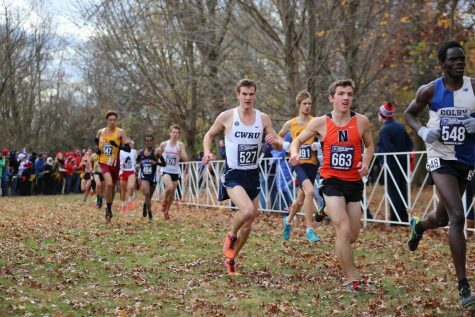 The two finished 13th (26:12.46) and 24th (26:26.65) respectively. Junior Ben Davis and sophomore Lou Takahashi rounded out the team’s score with 27th (26:33.05) and 31st (26:40.94) place finishes. Of the aforementioned, four had placed in the top five at the Knight Invite. The currently unranked men’s Spartans were just one point behind the third place Oberlin, scoring 104 compared to Oberlin’s 103, and only five points behind the no. 34 nationally ranked University of Mount Union. The first Lady Spartan to cross the finish line was junior Kelsey Aamoth in 10th (23:06.06) among all DIII runners. Aamoth had placed 2nd among all Case runners at the Knight Invite 5K. Senior captain Kristen Ruckstuhl completed the course in 23:25:31 for a 19th place finish, followed by sophomore Olivia Zabrodsky in 23rd (23:34:27), junior Lydia Greene in 25th (23:41.62) and freshman Danielle Kulpins in 29th place (23:45.00). Of the five women counted for scoring, four had been counted for scoring at the Knight Invite. The 25th ranked Women’s Spartans finished fourth with 106 points, one point behind Ohio Wesleyan University. Seventh-ranked University of Mount Union and fifth-ranked Oberlin College finished in first and second respectively. Both squads will meet next at Oberlin for the Inter-Regional Rumble.